If you are craving something a little outside the lines in 2018—without going full-on pizza burger—then switching up cocktail proportions might just do the trick. Recently, NYC bartenders and mixologists have been playing with the trend by re-proportioning the ingredients of classic cocktails, including martinis and sidecars. It usually results in lower ABV drinks as it cuts most of the hard liquor, which is perfect for those of us half-assing Dryuary (if you're more intense, here are some mocktails). How so? The Gibson usually has wayy more gin than vermouth (five or six times more). In this twist, there are two ounces of vermouth (Dolin Blanc and Dolin Dry), one ounce of gin and one spoon-size of pickled onion brine. How so? In the original, there's a practically even distribution of Campari, bourbon and sweet vermouth, with a touch more bourbon. Westville cranks up the amount of Campari to four times the amount of bourbon and vermouth. How so? There is four times as much Caperitif—a South African liqueur subbing in for vermouth—as there is gin in the cocktail. Plus, cherry liquor is added for an extra pop of sweetness. How so? Like most others on the list, there's less hard booze and more of the soft stuff. The healthy restaurant reverses the proportions of Grand Mariner and cognac, so there's double the amount of the former (two parts liqueur and one part cognac). How so? Taken straight from the novel, James Bond asks for three parts gin, one part vodka and half-part of lillet. At the Astoria bar, vodka and the lillet are the major players, while there's only one part gin. How so? This off-menu special for the month of January has more than double the amount of sweet vermouth (Carpano Antica Formula) to rye (Templeton). How so? Are you seeing green fairies? 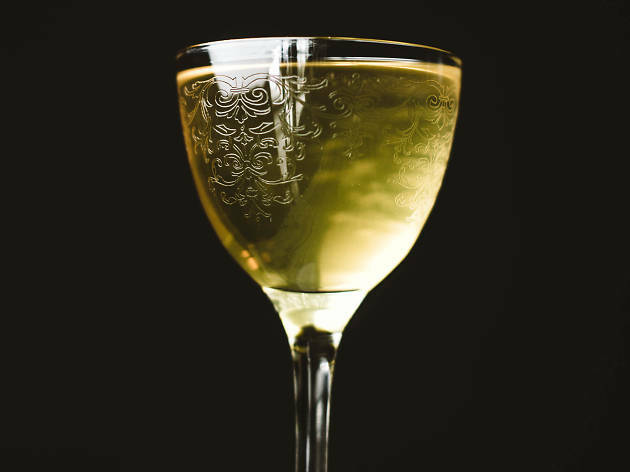 The base spirit in this cocktail is straight-up absinthe infused with cucumbers. The service supplies extended document administration systems https://litebluelogin.co Its statement offers more info than the typical printed declaration on advantage deductions. processed quantities, leave balances and withholdings. Hi Alison. You probably won't see this but do you happen to know the brand of the wine glass in the photo at the top?